Mr. Brdar has over 25 years of experience in the power systems and energy industries and has held a variety of leadership positions during his career. From 2012 through April 2018, Mr. Brdar served as Chief Executive Officer and President of Ideal Power Inc. From 2006 through 2011, he was President and CEO of FuelCell Energy Inc., a Nasdaq-listed company with a market cap of over $250 million. During his tenure, the company's revenues increased 235%, to $100 million, manufacturing production increased by over 200% and over $100 million was raised from institutional and strategic investors. Prior to joining Ideal Power Inc., Mr. Brdar served as the Chief Operating Officer of Petra Solar, a privately held, venture funded solar and smart grid company, where he held full P&L responsibility and led a cross-functional management team across several international markets. From 1997 to 2000, Mr. Brdar held management positions, including Gas Turbine Product Manager, for GE's Power Systems Division, a world leader in power generation systems and products. Additionally, Mr. Brdar has extensive research and development experience at the U.S. Department of Energy through various roles at the National Energy Technology Laboratory in Morgantown, WV and Pittsburgh, PA. Mr. Brdar has a BS in Engineering from the University of Pittsburgh. From 1985-2008, David served as the President and CEO of SatCon Technology Corporation, a developer of products for utility, hybrid vehicle, ship building, industrial automation, semiconductor processing, and defense markets. 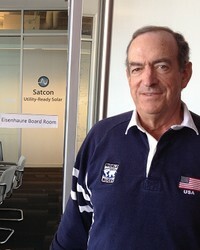 He founded SatCon and was also a director from 1985-2009. SatCon is well known for its work in advanced electric drives; inverter technology for smart grid and photovoltaic applications; and the development of lightweight, high-power electronics, which contributed to the development of practical hybrid and electric vehicles. David brought SatCon public in 1992 and subsequently oversaw the acquisition of eight private companies and one public company, reorganizing SatCon from an R&D company into a diverse organization with four plants in the United States and Canada. Prior to SatCon, David was the Technical Director of the Energy Systems Division at Draper Laboratory, where he oversaw the development of magnetic bearings, flywheels, energy storage, advanced solid state power converters, advanced motors and generators, and adaptive control systems for highly dynamic and otherwise unstable systems. Prior to Draper, David worked at MIT's Instrumentation Laboratory, as a graduate student research assistant and later staff engineer, designing and developing electromagnetic and thermal control systems to support the national space and defense programs. From 1985-1997 he was a Lecturer in the Mechanical Engineering Department at MIT. 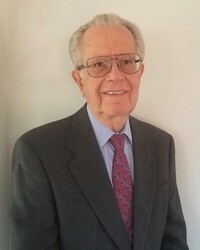 He has been awarded over 20 patents covering inventions in magnetic suspensions, motor drives and controls, flywheel systems, automotive components, energy storage, and solid state power converters. David holds a B.S., M.S., and an Engineer's Degree in Mechanical Engineering from MIT. Mr. Turmelle is President of Hayward Tyler, a manufacturer of performance critical pumps and motors. Hayward Tyler has a heritage stretching back 200 years. Started in the UK, Hayward Tyler now has operations in China, India and the US as well as in the UK. Mr. Turmelle joined Hayward Tyler in 2015. Prior to Hayward Tyler, Mr. Turmelle has an extensive history of success in P&L management, business development, public and private financing, M&A and strategic planning. 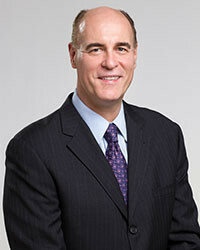 Mike has served at various times as CEO, CFO, COO and/or on the Board of Directors for several companies. Mr. Lesster comes to Ideal Power with a career-long background of both technical and management experience in power electronics and power conversion systems. 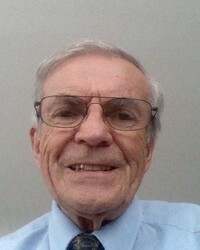 Prior to 1985 Mr. Lesster worked first in the power conversion group at the Westinghouse R&D Center, and subsequently at the Westinghouse ESSD Oceanic Division. As an Advisory Engineer he was instrumental in developing power electronics for power conversion, active sonar and propulsion systems for deep submergence vehicle and surface ship applications. 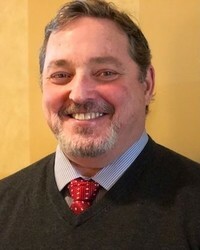 In 1985 he became manager of Electrical Engineering and in 1992 as part of an ESSD thrust into commercial activity he was appointed to assemble and lead the technical team that worked in conjunction with Chrysler to develop and take to initial production advanced power trains for the Chrysler EPIC minivan. Following the Northrop Grumman acquisition of ESSD he returned to the Oceanic Division as Engineering Director of the 300 strong engineering department and then as Chief Scientist. In 1999 he joined SatCon Applied Technology as Engineering Director and later as General Manager. He resigned from his management position in 2002 to lead the design and development of a novel 2MW flywheel/doubly fed induction machine and diesel based uninterruptible AC power source. With the transfer of that and similar power electronics-based technology to RTC Systems in 2003 Mr. Lesster joined RTC in an advisory role and was active in hardware development of vehicle and shipboard pulse power, and power management applications as well as both wave energy and tide power energy conversion projects until his retirement in 2014. Mr. Lesster has BA and MA degrees in Engineering from Oxford University. In 1971 he received the Westinghouse B.G. Lamme Award for a year's study scholarship. He used this to study at Imperial College of Science and Technology in London where his thesis for the D.I.C was on control techniques for reluctance machines. Mr. Lesster holds 6 patents and several pending in the field of power conversion.